Truman’s Rho Rho chapter of Sigma Delta Pi, the National Collegiate Hispanic Honor Society, was named an “Honor Chapter” for its outstanding activities in 2015-16, the 23rd consecutive year Truman has earned this prestigious distinction. Professor Lucy Lee, chapter adviser and national president of Sigma Delta Pi, has been instrumental in earning this national honor that was awarded to only 13 chapters nationwide in 2016. 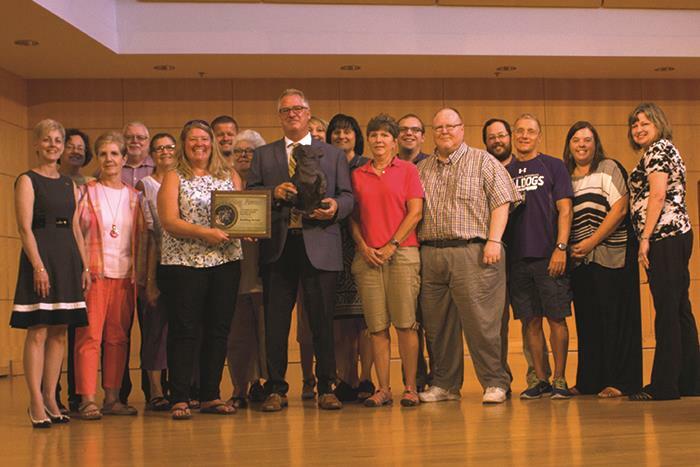 Because Truman earned “Honor Chapter” status for the complete 2013-16 triennium, it also received the Octavio Paz Award during Sigma Delta Pi’s Triennial Convention in Miami, Fla., in July. Each summer, over 610 chapters of Sigma Delta Pi nationwide are asked to submit an annual report detailing their numerous activities and projects from the academic year. Based on these reports, the National Executive Committee chooses approximately 10-15 “Honor Chapters.” This recognition is based upon the caliber of chapter projects that reflect the Sigma Delta Pi mission of honoring excellence in the study of the Spanish language, contributing to cultural understanding and upholding the goals of the society. Sodexo will host a grand opening celebration the week of Aug. 22-26 to debut the food options in the Student Union Building. Mainstreet Market will now feature Chick-fil-A, Slice of Life, Wholly Habaneros, Mein Bowl and Hissho Sushi. The new food court will be open to the public beginning Aug. 22. Eight individuals were recognized with the University’s Points of Excellence awards at the Fall Opening Assembly, Aug. 18. The Points of Excellence Award reinforces the importance of praise, thanks, recognition and appreciation for a job well done. Ideas and suggested themes for nominations are: service to students; innovation; diversity; community services; customer service; Truman values; and work performance. More information about the Points of Excellence Award, including details regarding nominations, can be found at hr.truman.edu/recognition. During the Fall Opening Assembly, the Human Resources Office handed out the Bulldog Award recognizing shared team achievement for outstanding customer service. 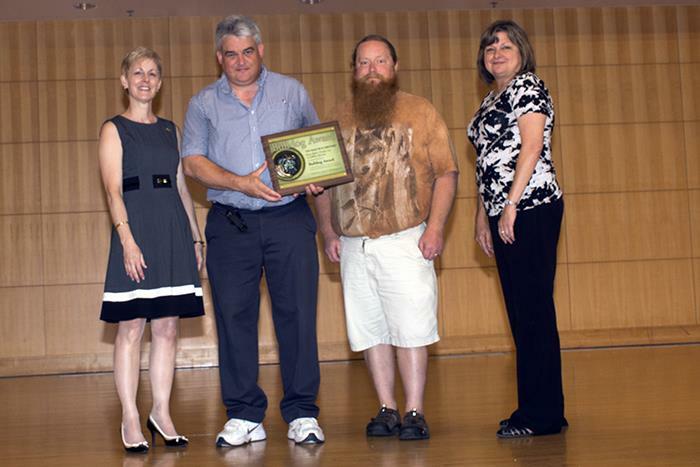 The Master of Arts in Education program and the University drivers received the Bulldog Award. More information about the award, including details regarding nominations, can be found at hr.truman.edu/recognition. The Master of Arts in Education program faculty and staff accept the Bulldog Award during the Fall Opening Assembly, Aug. 18. University drivers Dean Baker and Jeffrey Morton accept the Bulldog Award during the Fall Opening Assembly. Pictured, from left: University President Susan Thomas, Baker, Morton and Sally Herleth, director of human resources. Not pictured: Charles Lay, University driver. The Office of Student Research will be accepting Grants-In-Aid-of-Scholarship and Research (GIASR) applications until Aug. 28 for research and creative scholarship to be conducted during the fall semester. All disciplines are invited to participate. 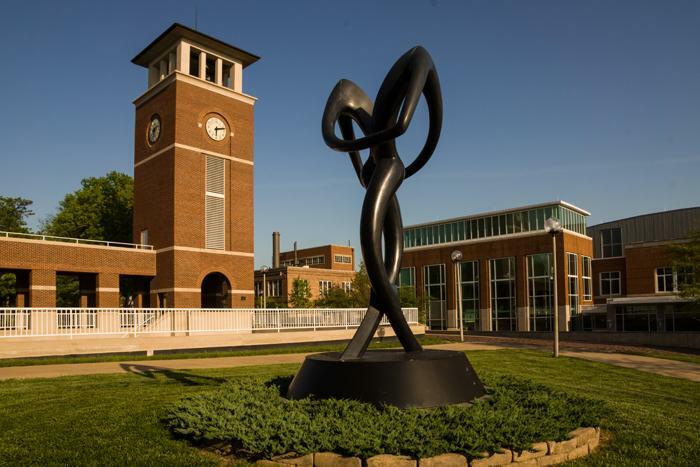 The purpose of these grants is to promote a culture of research and scholarship at Truman while providing flexibility to accommodate different research styles and requirements. 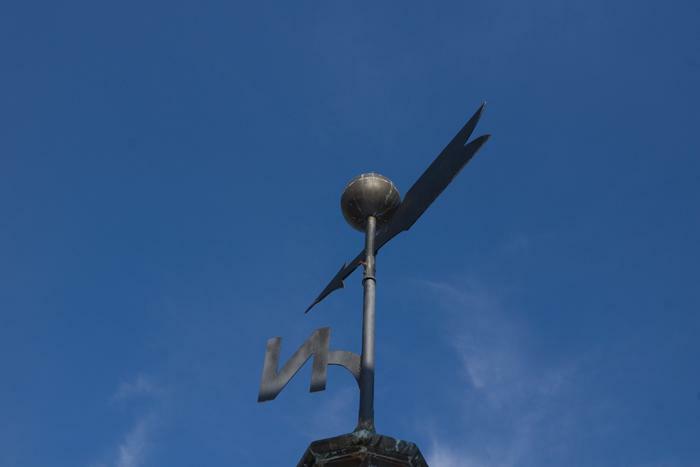 Projects supported by this program should involve original ideas but may encompass a variety of activities including obtaining preliminary data or information, exploring new topics, and continuing ongoing projects. Students must be current Truman undergraduates or graduate students and be mentored by a Truman faculty member. Grant applications may request up to $750 and can cover student stipends as well as supplies and travel to conduct the research. Complete guidelines can be found at the Office of Student Research website osr.truman.edu. All students that wish to be considered for GIASR fall 2016 funding should submit applications online at secure.truman.edu/osr-s by 11:59 p.m. Aug. 28. Any questions regarding the Office of Student Research programs can be directed to osr@truman.edu. 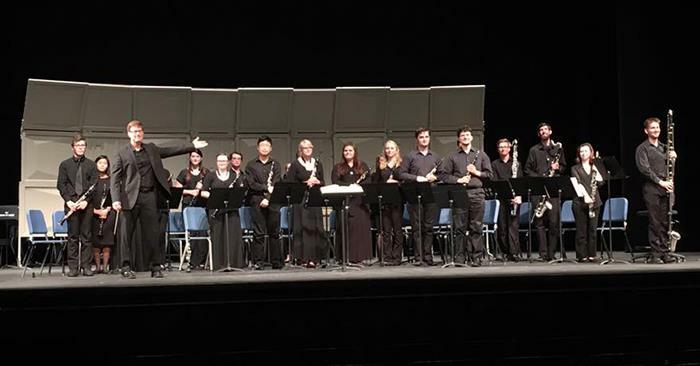 The Truman Clarinet Choir recently had the honor of performing a concert at the 2016 International Clarinet Association’s ClarinetFest Conference in Lawrence, Kan., as one of 10 invited university ensembles. The participating students included: Michaela Anderson, Joelle Beusterien, Timothy Clasby, Laura Cleaver, Christina Daud, Katie Davis, Meranda Dooley, Zoe Frantom, Thomas Goodman, Destiny Herndon, Cory Hogan, Carolyn Jennings, Taeyeong Jung, Jonathon Kroeger, J. Alexander Lynn, Brianna Mann, Andrea Otte, Kyle Rieger, Abby Sherman, Kelle Sutton, Josh Van Norman, Andrew Wolf and percussionist Victoria Hosler. Future ClarinetFest conferences will take place in Orlando, Fla., in 2017 and Ostend, Belgium, in 2018. The National College Athlete Honor Society, Chi Alpha Sigma, has designated a chapter of their fraternity at Truman. It is the fifth Missouri school to be accepted into Chi Alpha Sigma, whose mission is to honor collegiate student-athletes that have excelled in both the classroom and in athletic competition. They recognize students who receive a varsity letter in their sport while maintaining a 3.4 or higher cumulative grade-point average throughout their junior or senior years. 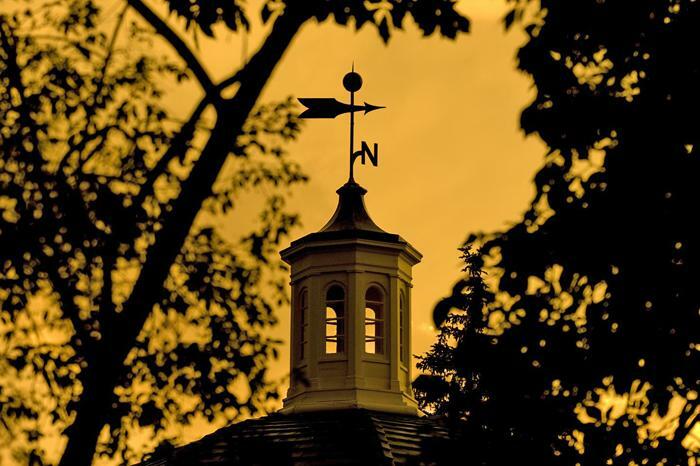 The National College Athlete Honor Society was founded at DePauw (Ind.) University in 1996 by DePauw head football coach and professor of kinesiology, Nick Mourouzis. Chi Alpha Sigma brings honor and recognition to deserving student-athletes, their families, teams, athletic departments and universities in much the same way as Phi Beta Kappa honors scholastics. The Truman volleyball team is once again hosting a free clinic for all students from kindergarten through eighth grade at 6 p.m. Aug. 26 in Pershing Arena. Open to both girls and boys, the 2016 bulldog squad and coaching staff will work with local youths on volleyball fundamentals for one hour. Then, at 7 p.m., the team will compete in its annual purple/white intrasquad scrimmage, which is open to all members of the public. Following the match, there will be an autograph session for the first 100 fans with free team posters of this year’s squad. There will also be pizza and drinks sold for both fans and participants. For more information, contact assistant coach Megan Wargo-Kearney at mwargo@truman.edu or at 660.341.9610. No advance sign-up is required, simply come to Pershing Arena with a completed copy of the registration form and proof of insurance. Campus and community organizations will be present to distribute information and answer questions. This is a great way to learn more about the numerous campus organizations available at Truman. This open house is to welcome students to the new location of the Center for International Education/Study Abroad and the Center for International Students in Grim Hall. Refreshments will be provided. This event is to welcome the exchange students to Truman and the returning study abroad students back home. Truman’s social wall integrates all of Truman’s major social media accounts including Facebook, Instagram, Twitter, LinkedIn, YouTube and Snapchat. The wall arranges Truman’s most recent posts into a convenient feed to be all viewed at once. This feed can be found at social.truman.edu. 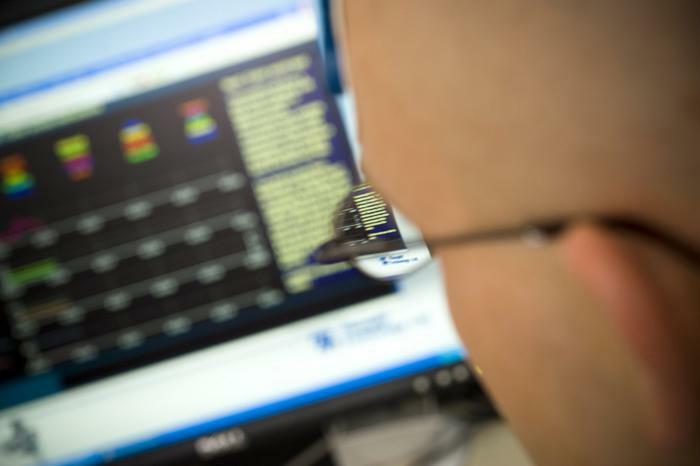 To connect with Truman, the links for many Truman accounts can be found directly on the University home page. A collection of other Truman departments and organizations can be found at social.truman.edu/accounts. The Student Activities Board will host open houses from 6-7 p.m. Aug. 30 and Aug. 31 for potential new members. Both events will take place in the CSI Complex in the lower level of the Student Union Building. 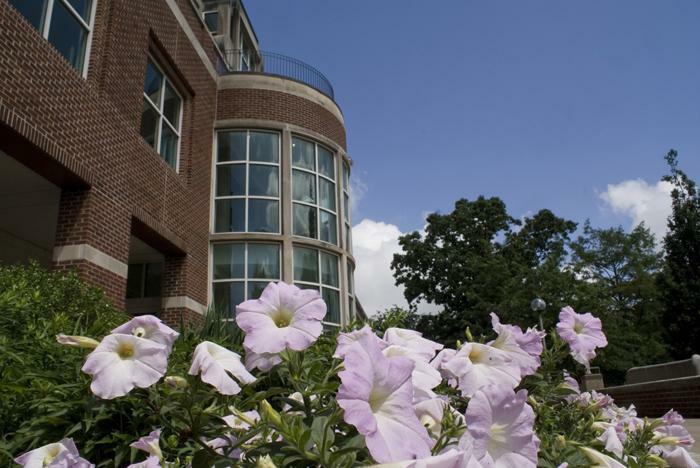 SAB is comprised of 35 full-time students, two staff advisors, five committees and a University-endowed annual budget. The organization plans and executes all major campus events throughout the academic year, including concerts, comedians, special speakers, films, interactive productions and more. General questions about the application process may be directed to trumansabexec@gmail.com. Applications can be done online at sab.truman.edu/apply. SAB will accept applications until midnight Sept. 1. Call 660.785.4177 or email joycecook@truman.edu to reserve a space in the class. Students required to drive as part of their jobs need to complete a Waiver of Vehicle Usage Policy form available at police.truman.edu. Staff Council will be having their monthly meeting at 12:15 p.m. Aug. 30 in Missouri Hall’s Hawthorn Room. The public is invited to attend. Come see what the council is doing for the staff on campus. Staff members looking to participate in Staff Council may contact Sally Herleth or Curtis Kelsey for more information. The U.S. Department of State’s Benjamin A. Gilman International Scholarship Program online application is open for students participating in credit-bearing study abroad programs and international internships during the spring 2017 and summer 2017 terms. The Gilman program aims to diversify the kinds of students who study and intern abroad and the countries where they go. For more information about the Gilman scholarship, webinar schedules and other helpful resources, including subscription to Gilman advisor newsletters, visit iie.org/gilman. Interested Truman students should contact the Center for International Education/Study Abroad at ciea@truman.edu. Spring 2017 applications and summer 2017 early applications are both due by 11:59 p.m. Oct. 4. In connection with the Baldwin Hall renovation project, a portion of the parking lot located north of Normal Ave., between Marion and High streets, has been closed. The lot will remain closed for the duration of the renovation and should reopen sometime in summer 2017. Michael Bump, professor of music and director of percussion studies, was recently elected to the Percussive Arts Society Board of Directors for a four-year term. Elections took place in June from a slate of 10 members, from which two were selected. Voting was cast from an international membership of 10,000 professional performers, composers and educators. Bump currently serves as chair of that organization’s New Music and Research Committee, as well as a four-time host for the Percussive Arts Society’s annual four-day international convention. Jesse Krebs, associate professor of music, has been appointed to serve as the next research coordinator for the International Clarinet Association. The duties of this post include coordinating the ICA Research Competition that takes place at the annual ClarinetFest conferences (2017 in Orlando, Fla., and 2018 in Ostend, Belgium), supervise the research area of the ICA website and act as a liaison to the ICA Research Center, housed at the University of Maryland Clarice Smith Performing Arts Center. His two-year term of service will begin Sept. 1, 2016. Daniel Mandell, professor of history, served as chair for the “Transnational Political Actors in North America’s Borderlands, 1800-1850,” during the annual meeting of the Society for Historians of the Early American Republic, in New Haven, Conn. The Truman baseball team was highlighted as one of the American Baseball Coaches Association’s Team Academic Excellence Award winners. The bulldogs earned the award for posting a grade-point average of 3.36 for the 2015-16 academic year. They were one of only 20 NCAA Division II programs to earn the award and one of 140 college and high school programs nationwide to be named on the inaugural ABCA Team Academic Excellence list. The bulldogs had 24 players on the roster earn Academic All-GLVC in June. Both Truman track & field squads earned recognition from the United States Track & Field & Cross Country Coaches Association for their academic achievements during the 2015-16 year. With a 3.55, the bulldog women had the fourth-highest cumulative team grade-point average out of the 117 programs honored by the USTFCCCA. The Truman men had a 3.37 team GPA that was also the fourth-highest mark among the 66 Division II men’s programs. In addition, Elijah Farrales, Dominic Kacich and Cassidy Smestad earned individual All-Academic accolades. Kacich returns to the USTFCCCA All-Academic individual honor roll and was joined by a pair of freshmen in Farrales and Smestad. Kacich had provisional marks in both the indoor and outdoor 400-meter dash and earned honors as Truman’s top male senior student-athlete. Farrales had a provisional mark in the indoor 400-meter dash, and Smestad had provisional in the indoor and outdoor shot put. Smestad qualified for the Outdoor NCAA Division II Championships and finished 15th. To earn All-Academic team accolades, the program must have a cumulative team GPA of 3.00 or higher. To earn All-Academic individual honors, a student-athlete must have a 3.25 GPA and have a provisional or automatic qualifying mark in their respective event. The Truman volleyball team earned the American Volleyball Coaches Association team academic award for the 2015-16 season. 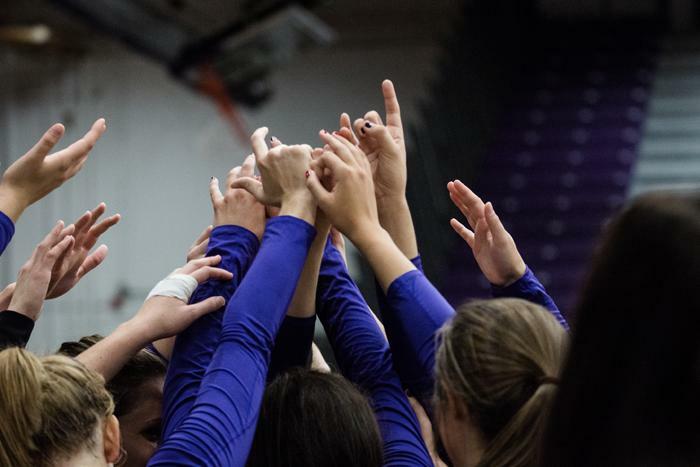 The bulldog volleyball program also earned the Great Lakes Valley Conference team academic award after compiling a combined 3.40 grade-point average this past academic year. This is the third time in the last four years the program has earned the AVCA team academic award. Resume Review with a Recruiter - What Makes You Stand Out in a Good Way! Answers to questions on professional dress, online applications, interviews, etc. Deadline for this $1,000 scholarship is Sept. 30. Click here for details. This scholarship addresses social media’s impact on young drivers safety. Three scholarships will be awarded for a total $5,000. Deadline to apply is Oct. 21. Click here for details. Students can earn a $500 scholarship by submitting a 400- to 600-word essay answering the question: “How would your life be different if the internet didn’t exist?” Deadline to apply is Nov. 21. Click here for details. This $2,500 scholarship is available for undergraduate students studying at an accredited U.S. college or university during the 2016-17 academic year. The contest requires students create a short video and discuss what inspires them to grow and join the ranks of tomorrow’s #womenleaders. The winner will be judged on sincerity of their passion, drive to make a difference and intelligence in conveying their vision. One winner will be chosen at the sole discretion of Plumfund CEO Sara Margulis. Deadline to apply is Dec. 1. Click here for details. For a complete list of scholarships available through the Truman State University Foundation, click here. There are two applications periods for Foundation scholarship; October for the spring scholarships and January/February for the following year. Foundation scholarships are available thanks to the generous private gifts of alumni and friends.